A German backpacker died in Gosainkunda Rural Municipality of Rasuwa district on Wednesday. He was identified as Nils Jakel of 49. According to the Rasuwa District Police office, Jakel was died of respirator problem while trekking from Langtang to Gosainkunda. He was on trekking in Langtang since Saturday. He was accompanied by three Germans and three Britishers. 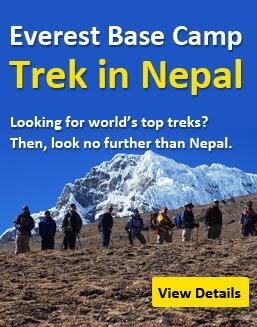 Their trekking was arranged by Google trek - Kathmandu based trekking company. According to Prakash Simkhada, Managing Director of the company, jakel was died due to severe heart attack. The dead body has been taken to kathmandu on April 12th Thursday. Langtang was affected by the massive earthquake in april 25 and may 12 2015. Many people including foreign tourists lost their life in an avalanche and still missing. After two years back, Government of Nepal officially opened the trail for trekking after the rebuilding of the area.